Summary: Want to watch free movies on your iPhone? Here we will list top 14 best free apps for you to watch movies freely on your iPhone, X, XS, XS Max. Let’s say you own a premium phone like an iPhone X or above, which are distant dreams for many. But, even after paying such a hefty amount for your phone you may don’t want to spend more money on video contents. In today's time, loads of quality contents are available in the market under the channels of Netflix, Amazon Prime etc. But, there are indeed many ways you can watch and download free Movies on your premium iPhones. So, in this article, we will enlighten the top 14 best free movie apps for iPhone, X, XS, XS Max. Here is a list of top 14 FreeMovie Appsfor iPhone X, XS, XS Max. This channel has a large variety of movies and web series catering to almost every part of the world. Mainly consisting of Korean dramas, this App will never disappoint you even if you are from the USA, India, Japan or any country. Just download this app and enjoy seamless entertainment on your fingertip on iPhone X, XS, XS Max. Who doesn’t want a serious movie at the ease of your home and a mug of coffee? If your wants are the same, Turner Classic Movies (TCM) will never let you down. It has a massive collection of classic movies, and it also has a premium subscription option to watch those in advance that makes it the best free movie app for iPhone. As the name suggests, enjoying quality movies of High Definition is a click away. You can enjoy up to 720p movies on this app. Sadly it’s not in the app store, but you can always download it into your iPhone X, XS, XS Max with some work in the settings. It's one of the best options available to stream your favourite channels and movies. You also will get an option to download for watching those videos offline. No one wants to go into any depth in technicalities to watch HD movies free on iPhone. For free videos on iPhones without Jailbreak, Play Box app is the best. It has a decent library of movies. And is considered as one of the best free movie app for iPhone. Very few people probably have forgotten theirs in depth love for anime movies. This app has many videos and movies of animation free for iPhone X, XS, XS Max. This application named TubiTV says on the homepage loudly that they are free. Without any subscription and some ads, this is one of the best free movie appsfor iPhone X, XS, XS Max. It has both the option of free and premium. It caters some of the best and most popular TV shows and movies. It lets you not only to stream but also to save it for offline. Its option to watch it on HD is the best option for iPhone6, iPhone7, and iPhone X, XS, XS Max. It has many in the DC Comics and Marvels as well. You name it, and you will find it. Just watch is the best option for iPhone users. It also has many top-rated series, and this will never let you down if you are one of those, who stay updated with what they watch. If you are a sports freak, this is one of the best options for you. It has a premium option linked to the cable TV, yet you can watch and enjoy free sports telecast on ESPN. This is a stimulation app which requires cable TV. But, rest assured about the quality of the content of these videos. You will have loads of Movies and series contents. That makes it one of the 14 best free movie appsfor iPhone. SnagFilms has over 10,000 decent movies, TV shows, and documentaries you can stream and save. With favourite documentaries and acclaimed independent movies like Holmes and The Notebook, there are lots of opportunities to discover movie mines. It has been considered as the “Best iPad Video App” by the Huffington Post, there's, of course, a lot to watch in it. As one of the smaller, and best free movies app for iPhone on this tray, Bobby Movie Box gives you access to HD movies and TV on your iPhones. The app places a particular focus on delivering a great User Interface so you can search, filter, add to favourite, and watch all available movies and TV shows. The app also offers clear subtitles in over 250 languages, too!This app is no longer available through the App Store. Instead, you need to go in little detail and visit the publisher’s site to download the app pack and enjoy the decent app. Giving access to HD movies online, The Movie DB (a short form for Data Base) is just another source for online movie streaming and viewing. The movie streaming appuses both direct links and even torrents to get HD movies. You can also download selected movies to view offline viewing, too. Note: Apple removed the Movie DB iOS app from the App Store, but The Movie DB can still be downloaded as a web appfrom the internet. So, these are the top 14 free movies app for iPhone X, XS, XS Max. But if are into Blu-ray movies and love the quality and clarity that they offer. Then keep reading we have something even more worthwhile for you. Part 2: How to Enjoy Blu-ray Movies on iPhone? Thereare lots of things you can't do in these apps. Like, watch Blu-ray quality movies. But don't worry, we have got you covered. With the help of a top-notch Blu-rayripper, you can actually rip such Blu-ray movies on iPhone. 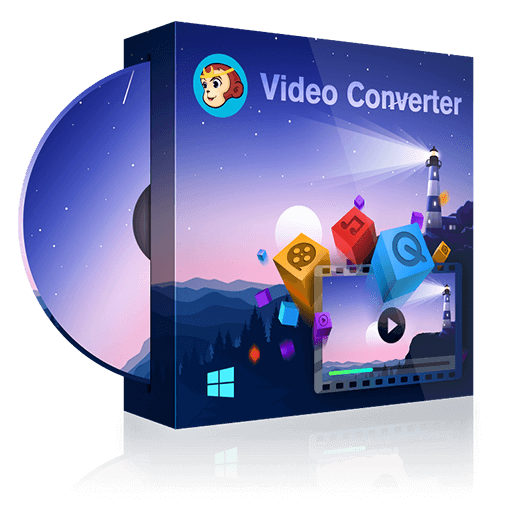 DVD Fab Blu-ray Ripper is one of the best softwarethat enablesyou to rip any 2D /3D Blu-rays videos to 2D or 3D videos which can be enjoyed in your iPhones. It also provides many advanced tools for you to customize your settings and edit the Blu-ray videos in your way. It supports almost every format of videos and this is a leading app in this section as far as downloads are concerned. The software comes with a free YouTube Video Downloader, with which you can download videos from YouTube freely and put them to your iPhone for offline enjoyment. How to rip Blu-rays to iPhone? The process to rip any Blu-rayto iPhone is as easy as it sounds. Below, is the full process to rip Blu-ray movies to your iPhone. · First, you have to download and run the DVDFab Blu-ray Ripper. · Then go to Ripper Option on the left panel then go to the profile icon to open the profile library. · Now go to Device -> Apple to choose one profile according to your iPhone model. · Insert the DVD that needs to turn into DVD drive for DVDFab to load it. Or if the DVD movie is saved as a digital file, dragging the file into DVDFab can give the same result. · As the source is in, the longest movie title is selected. Other titles are customizable to select. You highlight a claim, and then you can only specify its first/end chapter, change audio tracks and subtitles. · Click on Advanced Settings key on the left panel then you can change the audio codec, channels, sample rate, bit rate, etc. optionally. If you ever like.You can also click the “Editor” icon to edit your videos. · After specifying a storage path for the output(If you select the Mobile Device as the output directory, DVDFab will lead you to transfer the converted video to your iPhone ), touch the Start button to start your desired conversion. During the process, you can always view detailed progress info. You can also set your PC to shut down or hibernate after the completion of the task. And you are done. The DVDFab Blu-ray Ripper software is one of the best Blu-ray rippers which let you have your Blu-ray files on your iPhone X, XS, XS Max easily without degrading its quality. If you have the luxury of iPhone, you deemed to have the luxury of your desired videos as well. A good Mac Blu-ray player is necessary if you want to play Blu-rays on your Mac and to get a better viewing experience. Here we are going to list top 4 best free Mac Blu-ray players for your reference. How to Make Digital Copies of Star Wars Blu-Ray? This article gives a brief introduction to Star Wars Blu-Ray movies and shows you how to make copies of these Blu-rays. Does Xbox 360 Play Blu-ray? Does Xbox 360 play Blu-ray? Xbox 360 itself cannot play Blu-rays but you convert Blu-rays to Xbox supported format for playback. Read the article to check the details.